JONNY WEXLER (Frankie Valli) discusses the continuing success of Jersey Boys and the underlying message of the value of friendship that makes this bio-musical chronicling the career of Frankie Valli and The Four Seasons relatable to audiences worldwide. Back by popular demand, JERSEY BOYS will return to Chicago for a limited one-week engagement April 2 – 7, 2019. Broadway In Chicago presents the show at The Auditorium Theatre (50 Ida B. Wells Dr.). For tickets and more information visit BroadwayInChicago.com. JERSEY BOYS opened in New York on November 6, 2005 and by the time it closed over 11 years later on January 15, 2017, it was the 12th longest running show in Broadway history, passing such original Broadway productions as 42nd Street, Grease, Fiddler on the Roof, and The Producers. JERSEY BOYS will return to New York with a new production in November 2017. The JERSEY BOYS US National Tour opened to rave reviews in San Francisco on December 1, 2006 and is still breaking house records in cities across North America. 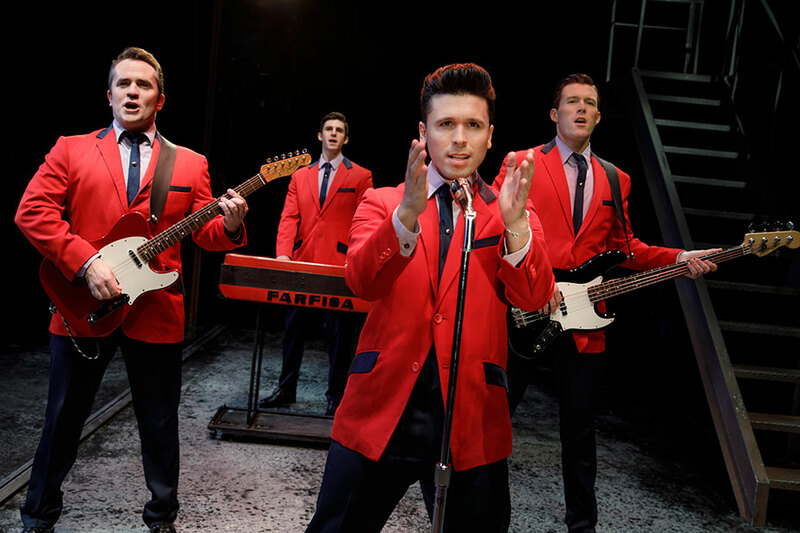 JERSEY BOYS is also currently touring the United Kingdom and Australia. JERSEY BOYS worldwide has been seen by over 25 million people (as of January 2018).